Nearly two decades ago, 250 people braved the cold to attend the first African American Children’s Book Fair at John Wanamaker Department Store in Philadelphia. Year after year, word spread and enthusiasm for the celebration grew. Today, the book fair, held in the gymnasium of the Community College of Philadelphia, attracts thousands. In fact, not only is it one of the oldest single-day events for African-American children’s books, it has grown to become one of the largest too. Founder Vanesse Lloyd-Sgambati is a tireless advocate and promoter. It’s all part of her mission to preserve our legacy through books. Lloyd-Sgambati started The African American Children’s Book Fair to meet a need she saw in her community. For some children, the book fair will be the first time they meet a black children’s book author or illustrator, the first time they receive a personalized book. Several companies and organizations support classroom libraries by giving away new books of the fair participants to educators including PECO, the local utility company; The Philadelphia Daily News and I Lead- The Urban Genesis Project. Other sponsors include The Literary, Cabot Creamery Cooperative, Comcast and Health Partners which provides resources to parents. Please spread the word about this important event and stop by if you’re in the Philadelphia area. Several of the guest authors and illustrators are past and current 28 Days Later honorees. Here’s your chance to meet a children’s book author or illustrator of color, support literature and purchase a treasure — a signed book. Saturday, February 27, 2010, 1-3 p.m. The event is great!!! Thanks for announcing it, though I won’t be able to make it. A quick note to let you know that 28 Days Later has been announced on MR in today’s post. Boy, wish I could make it to this event!! This is going to be a phenomenal event–the list of authors scheduled to appear is amazing. I WISH I COULD GO! I guess I’ll have to live vicariously through blogs and photos, but I’ll definitely be there in spirit. Sounds amazing. When I am living large like you Kelly I hope to go too. Have a great time. 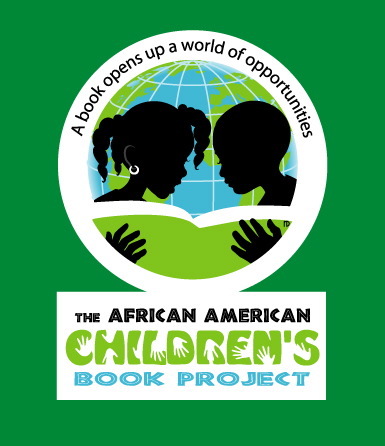 I look forward to the annual African American Children’s Book fair every year! However, due to the crowds and the great authors that are present each year, a larger location and longer hours will only enhance the opportunity for everyone to meet, greet, and support . I hope consideration will be given in planning for next year. I’ve just discovered the African American Children’s Book Fair. I would love to participate next year. Please keep me posted. This is Fantastic! Recently surfing the net, I ended up on C-SPAN2, the book channel in my area. Few things have impressed me more than the panel of brillant writers,editors,and publishers I saw there. I am a retired educator who has self-published two YA books since my retirement. I couldn’t agree more with the sentiment expressed by the panel of the challenges facing our race when it comes to writing, publishing, promoting and marketing our books. This note seeks information on how I may get my book out to the potential wider market. I am so excited and hopeful for a breakthrough. My third offering is in progress. I look forward to hearing from you to answer any questions you may have. Date needs to be corrected on the website which notes the date as February 27 instead of the correct date of February 5, 2011.